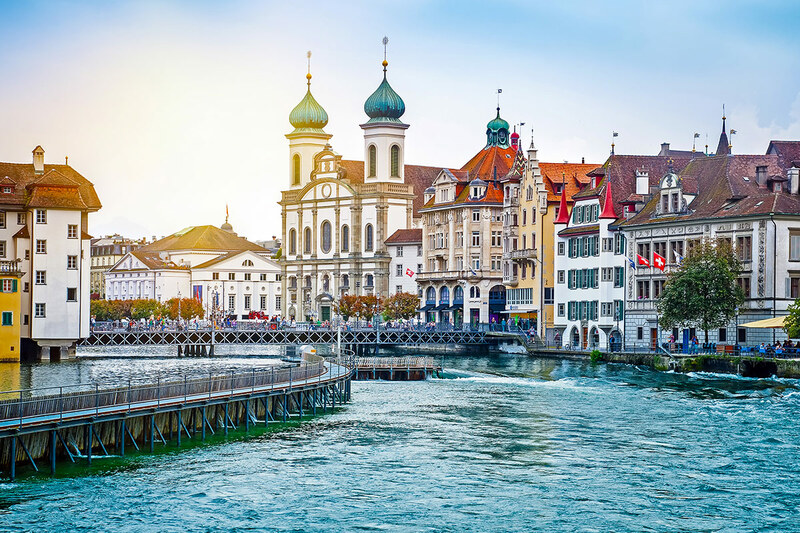 11 day Treasures of Italy and Switzerland tour including return international Emirates flights, breakfast daily, scenic transportation by rail, in-depth sightseeing and more. per person twin share |	Typically $8,716! Unearth beautiful Europe with an 11 day Treasures of Italy and Switzerland tour. 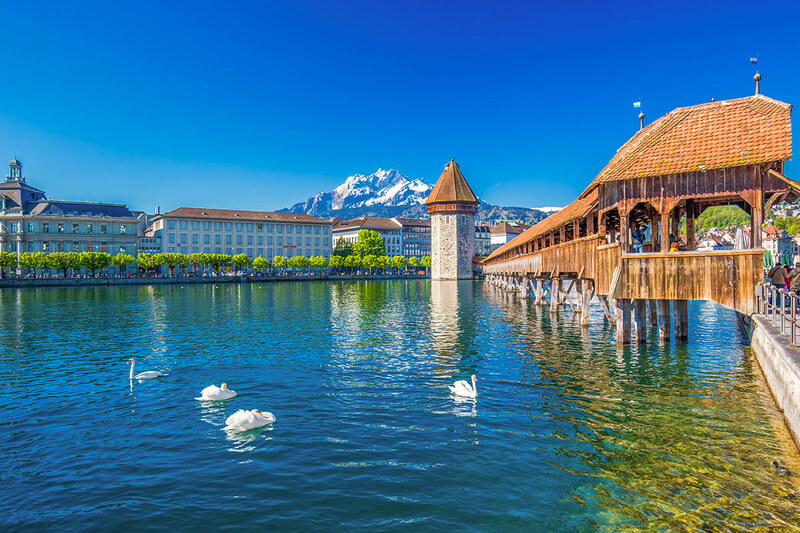 Begin your incredible journey in Lucerne and explore the best of this city by visiting the Chapel Bridge and taking in the picturesque views of Lake Lucerne. 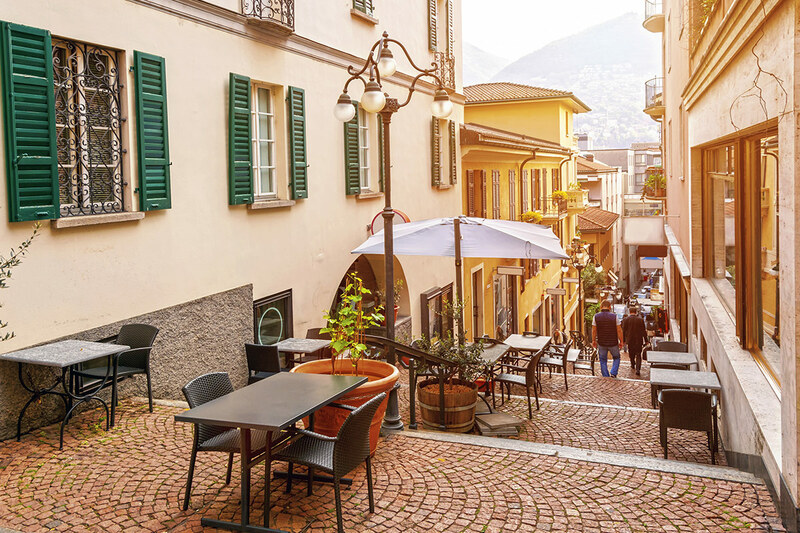 Travel to the Italian-speaking city of Lugano, before catching your train to the fashion capital of Milan. 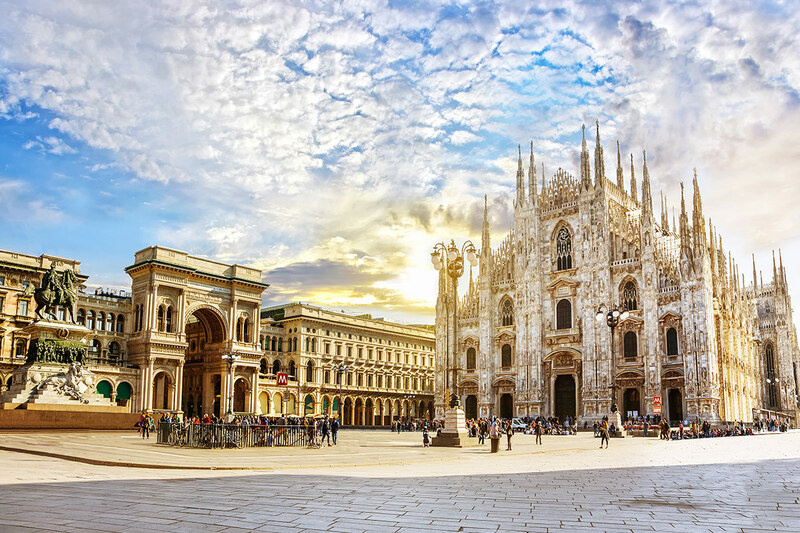 Visit one of the world’s largest and most striking Gothic cathedrals, Duomo, or one of the most famous Opera Houses, the fabulous La Scala theatre. 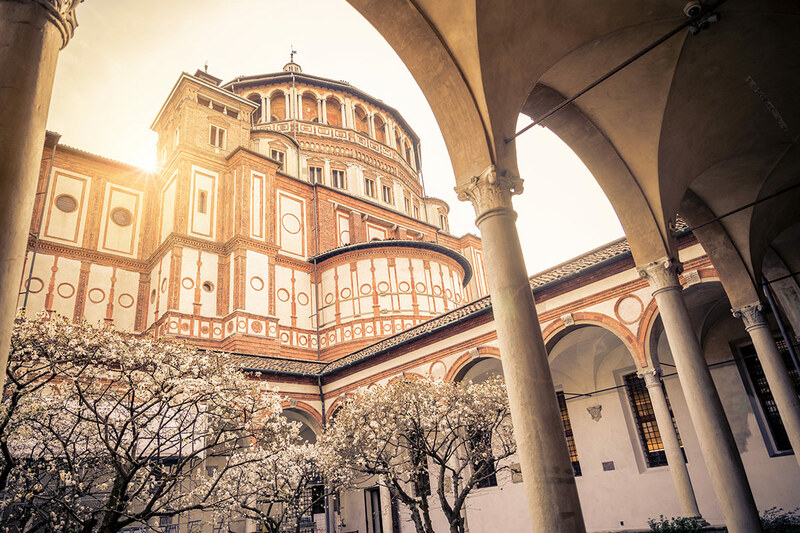 Take a tour through the Santa Maria delle Grazie church and admire Leonardo da Vinci’s masterpiece, The Last Supper. 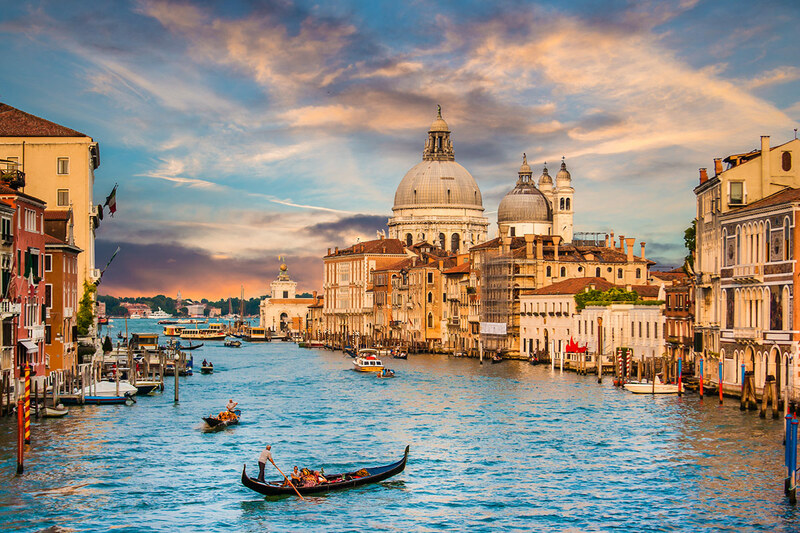 Make your way to the gorgeous floating city of Venice. Wander the quaint cobble stoned streets and explore all the little shops and cafes that line its ancient streets. Take a Gondola ride through the majestic canals, admire the beautiful St. Mark’s Basilica and see the famous Bridge of Sighs. 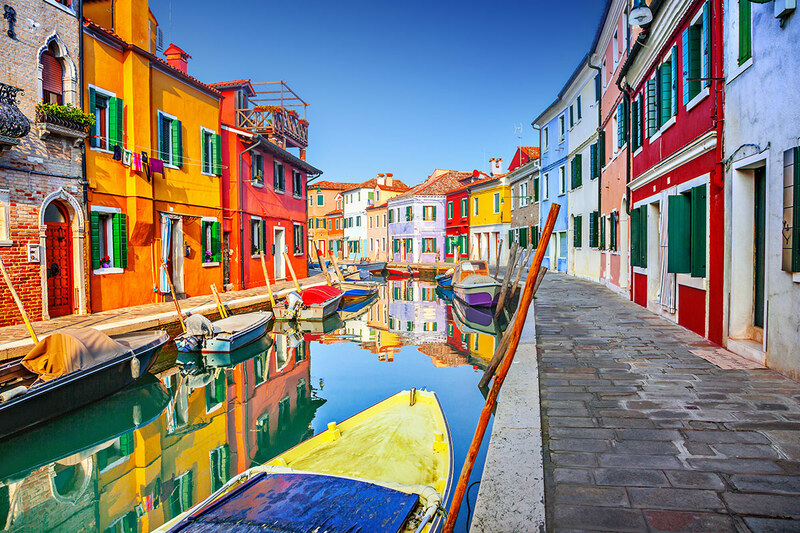 You may even want to take a ferry over to the lagoon island of Murano, famous for it’s incredible glass making. Depart Australia today to begin your incredible holiday. Welcome to Switzerland! Arrive at Zurich International Airport and catch a train from the airport to Lucerne. Once in Lucerne make your own way to your hotel. You are then at leisure to enjoy this town and relax after your flight. After checking in at the hotel, you’ll want to explore one of the trendiest neighbourhoods in Lucerne. And by taking just a few steps in the opposite direction, you can discover all of Lucerne’s famous sights. Today, explore Lucerne on your own. Enjoy walking across the Chapel Bridge and seeing the Jesuit Church. Visit town squares teeming with activity and catch a glimpse of the city’s “crown,” the Musegg Wall. Take in the amazing views of Lake Lucerne and Mount Pilatus. This morning, make your way to the station for your train to Lugano. 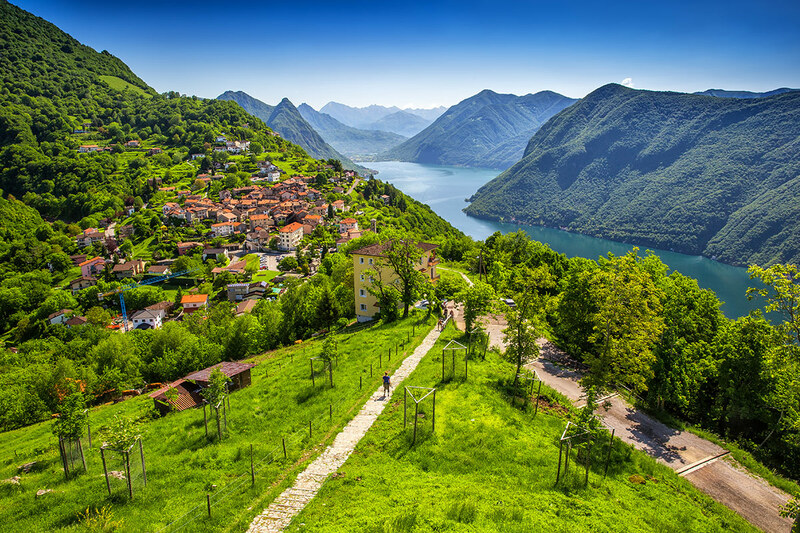 Relax as the train takes you south to the Italian-speaking canton of Ticino. Make your own way to the hotel and spend the rest of the day at your leisure. This cosy property is set in a small town with a very “heavenly” name, Paradiso, which translates exactly as “Heaven”, a short walk from the beautiful shores of Lugano Lake and the funicular railway station of Mount San Salvatore, surrounded by the beautiful nature of Ticino. Make your way to the station for your train to Milan. Let the train take you across the Swiss-Italian border to one of the global capitals of fashion and design. Make your own way to the hotel and spend the rest of the day at your leisure. 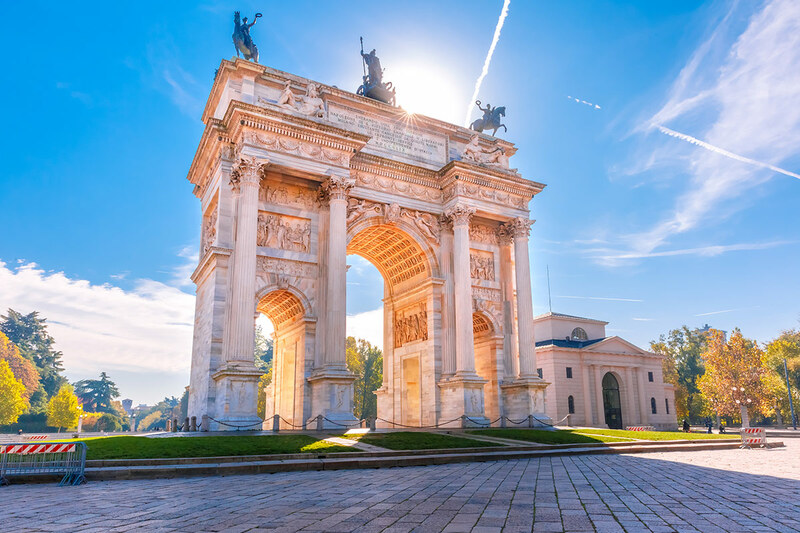 The strategic location, just a short walk from Milano Centrale Station, will allow you to easily reach every corner of the city. Treat yourself with a thoughtless stay, just relax in the hot tub after a long busy day and regenerate at David Bar & Restaurant. Join a guided tour of Milan today and see the main sights including the medieval Sforza Castle. Visit the splendid Duomo, one of the world’s largest, most striking Gothic cathedrals. Some 135 spires and 3,200 statues are crammed onto the roof and facade of the building. 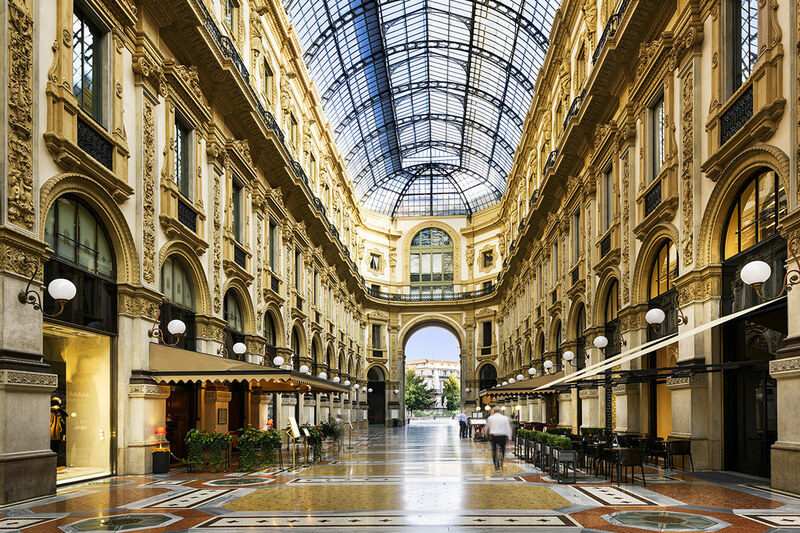 Walk inside Galleria Vittorio Emanuele II shopping gallery, a 19th century glass vaulted shopping arcade. Brimming with fashionable shops and cafes, it is often called the ‘salotto di Milano’ or ‘Milan’s drawing room’ for its importance over the years as a common meeting point for the people of Milan. Enter Milan’s most famous Opera House, the fabulous La Scala theatre. Founded in 1778 and still in use, some of the world’s greatest musicians and opera singers have performed here including Pavarotti and Giuseppe Verdi. Your entrance ticket provides 24 hour admission to the theatre and museum so you can return the next day. Finally the tour ends with the view of Leonardo da Vinci’s masterpiece, The Last Supper, a UNESCO World Heritage site, housed at the Santa Maria delle Grazie church. Make your way to the station for your train to Venice. The trains take you west towards the “Queen of the Adriatic”. Once you arrive, make your own way to the hotel and spend the rest of the day at your leisure. This little hotel is situated in the historic centre, looking onto the Canale di Cannaregio. It has recently been restored, using carefully chosen traditional materials and, while offering every modern comfort, still retains a typical Venetian style. The Hotel Hesperia provides an excellent, personalized service, thanks to the fact that the owners are always present, and available to give their constant care and attention to the needs of their guests. Explore Venice today with a guided walking tour through the most characteristic and important places of Venice. Among others, you will see St. Mark’s Square with St. Mark’s Basilica, the Doge’s Palace as well as St. Mark’s clock tower. Move onto Santa Maria Formosa square, followed by the Campo SS. Giovanni e Paolo, housing one of the city’s largest cathedrals. See Marco Polo’s House and the Malibran Theatre before returning to the San Marco district through the Mercerie – the primary connection between Rialto and San Marco districts, and the main street shopping. Explore Venice at your own pace today. Why not visit some of the other islands in the lagoon; Lido, Murano, Burano and Torcello? Lido hosts the annual film festival and Murano is famous for glass making. Bid farewell to Italy and make your own way to the airport today. Welcome to Switzerland! Arrive at Zurich International Airport and catch a train to Zurich Main station. Once in central Zurich make your own way to your hotel. You are then at leisure to enjoy this town and relax after your flight. Hotel Bristol, at the heart of Zurich, is the ideal base for exploring this fascinating city and its idyllic surroundings. Millions of guests visit the small yet exquisite cosmopolitan city, which offers a huge range of cultural, shopping and relaxation activities. The Bristol, in its smart neo-classical style, is located in the centre, just a few minutes’ walk from the main station, the old town and the Bahnhofstrasse shopping street. Despite its central location, the Bristol enjoys a relatively peaceful location. Catch a train this morning to Interlaken and relax as the train takes you from Central Switzerland to the Bernese Oberland. Once in Interlaken make your own way to your hotel and enjoy the rest of the day at your own pace. Enjoy your stay in one of 50 traditional Swiss rooms. Historical furniture gives an individual touch to each room, some of which have breathtaking views of the Eiger, Mönch and Jungfrau. Today join a guided excursion to the mighty Jungfrau. A short coach journey brings you to the mountain resort of Grindelwald where you board the cogwheel train for a spectacular ride via Kleine Scheidegg up to Jungfraujoch. Stunning views of the world-famous triple peaks of Eiger, Mönch and Jungfrau accompany you on the way. Once at the top, immerse yourself in the fascinating high alpine wonderland of eternal ice, snow and rock. Experience the adventure tour “Alpine Sensation” marking the 100-year anniversary of the Jungfrau Railway, and visit the Sphinx Observation Terrace and Plateau with the best views of snow-capped peaks, the neighbouring countries and Europe’s longest glacier, the Aletsch. Don’t forget to stroll through the tunnels of the Ice Palace located in the heart of the glacier. The descent passes the famous ski-resort of Wengen and takes you to Lauterbrunnen, where the coach awaits you to bring you back to Interlaken. Catch a train this morning and take in the vistas as the train takes you to Lucerne at the foot of Mt. Pilatus. Once in Lucerne make your own way to your hotel and spend the rest of the day exploring this cozy town. This morning, make your way to the station for your train to Lugano. Relax as the train takes you south to the Italian speaking canton of Ticino. Make your own way to the hotel and spend the rest of the day at your leisure. Explore the Venice at your own pace today. Why not visit some of the other islands in the lagoon; Lido, Murano, Burano and Torcello. Lido hosts the annual film festival and Murano is famous for glass making. Option to extend to 14 days with Interlaken and the world-famous Jungfraujoch! Please note: This is an independent tour, accompanying guides are not provided except for guided excursions specified in the tour itinerary.